This Diamond Cup Wheel is single row type, it can be applicated for concrete and masonry materials with superior efficiency. Its diameter is 105mm, we can also provide diameter 115/125/150/180mm. The Single Row Grinding Cup Wheel 's segment bumber is 7. 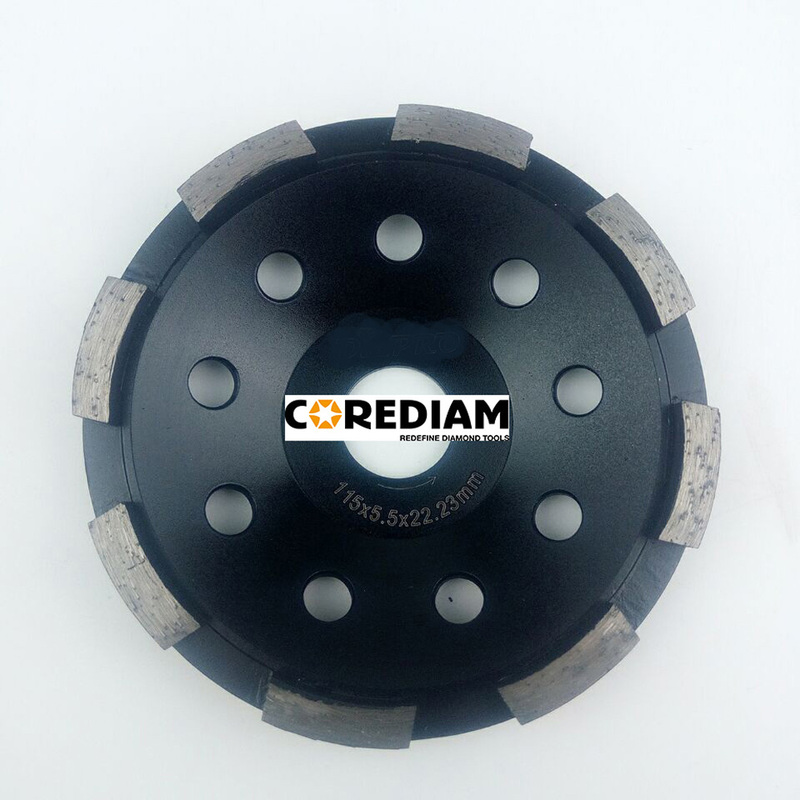 There are some cooling holes on the steel core of the Abrasive Diamond Cup Wheel, which can reduce the temperature during grinding. The manufacturing technique of the Single Row Abrasive Cup Wheel is silver brazed. The single row grinding wheels has a long grinding life and good grinding speed. We can ship Abrasive Wheels by Express (TNT.DHL/UPS/FEDEX), by Air, by Sea. Looking for ideal 105mm Diamond Single Row Cup Wheel Manufacturer & supplier ? We have a wide selection at great prices to help you get creative. All the 105mm Grinding Cup Wheel-single Row are quality guaranteed. We are China Origin Factory of 105mm High Quality Single Row Wheel. If you have any question, please feel free to contact us.